Here in the Midwest, we are in the midst of the polar vortex — with sub-sub-zero temps and even worse wind chills. 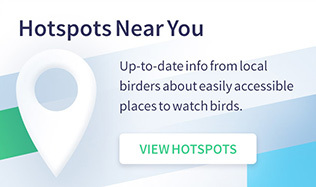 Birds, of course, can’t stay indoors to ride out this extreme cold. Our friends at the Midwest office of the U.S. Fish and Wildlife Service offer the following explainer on how birds keep warm in winter. Have you ever wondered how birds can stay warm in the cold winter months? 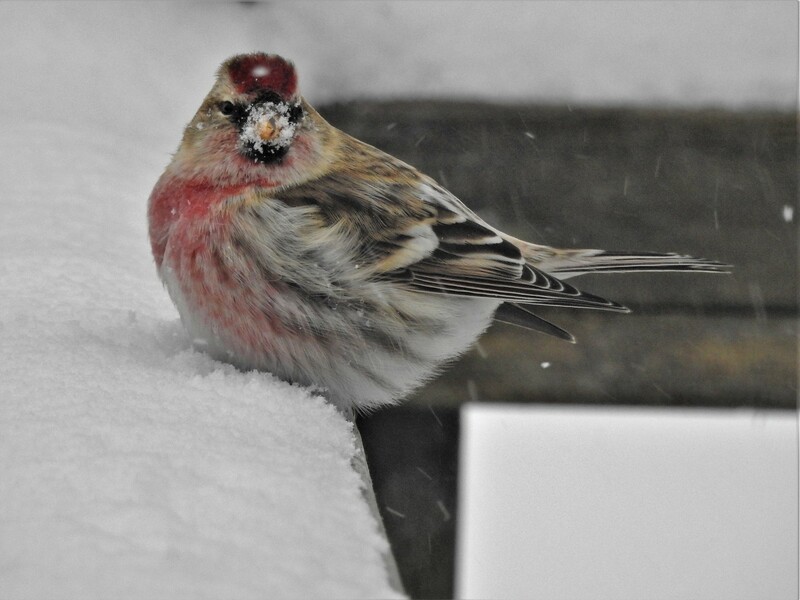 Common Redpolls are a great example. These energetic foragers weigh less than 15 grams and can survive temperatures that plunge nearly 100 degrees below the freezing point! How do they do it? Birds of all shapes and sizes have special adaptations for living in cold climates. Here are just a few examples of tough birds and their tips for staying warm. Just like people, birds shiver to stay warm. 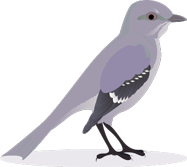 Birds have much higher metabolic rates and burn more energy to stay warm than we do. Black-capped Chickadees weigh less than half an ounce and can maintain a body temperature of 100 degrees Fahrenheit — even when the air is 0 degrees! They do this by having great insulation, being very active and remembering where they store their food. A steady supply of food is essential, because chickadees eat more than 35 percent of their weight every day! 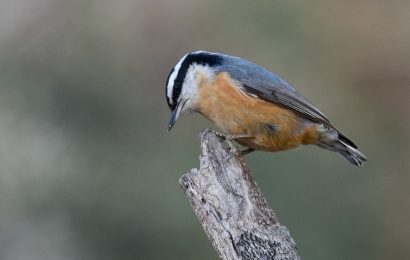 Compared to many other birds, chickadees have a large hippocampus — the part of the brain that’s responsible for spatial memory. In the fall, this part of their brain gets even bigger! Whether fat, fur, or feathers, insulation matters for most cold-weather animals. 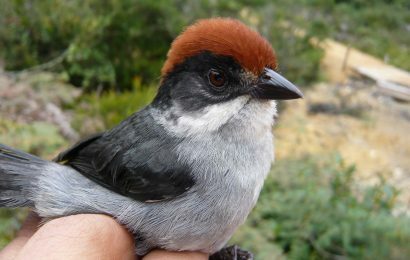 All cold climate birds pack on body weight in the late summer and fall in anticipation of the long, cold winter, but feathers also play an important role. All birds stay warm by trapping pockets of air around their bodies. The secret to maintaining these layers of air lies in having clean, dry, and flexible feathers. The cleaning process, generally known as preening, depends on the species of bird. While all birds produce a special oil from a gland near the base of their tails, some cold-tolerant birds use this oil to weatherproof their feathers. Other birds like egrets, herons and Mourning Doves grow special feathers that disintegrate into a powder that they use to waterproof their feathers. Regardless of what weatherproofing method they use, preening helps birds keep a water-resistant top layer and a toasty warm inner layer. 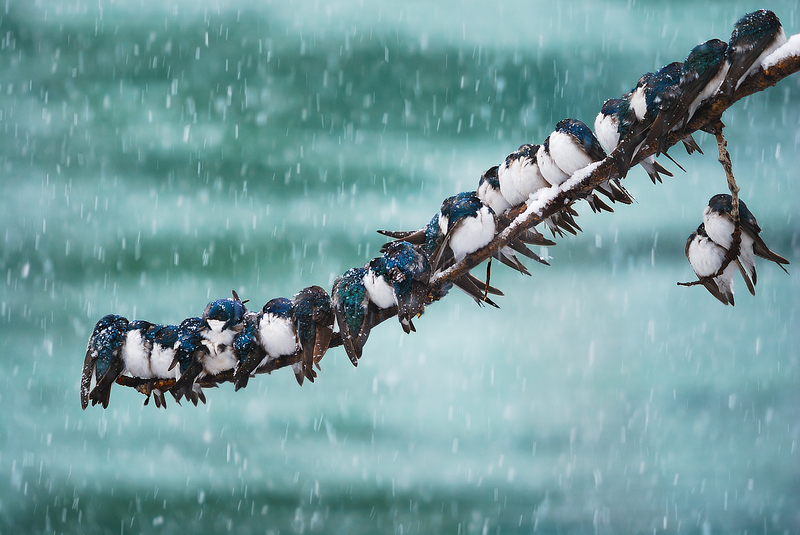 Similar to people who may cuddle for warmth, small birds like Tree Swallows crowd together in shrubs, vines, and evergreen trees to share body heat. They can also slow down their metabolic rate to conserve energy. Cavity nesters like nuthatches, titmice, and Downy Woodpeckers use tree cavities and nest boxes to stay warm. Cavities and boxes provide protection from the weather and help birds hide from predators. Larger birds like American Crows and Ring-billed Gulls are also known to flock together for warmth. Have you ever wondered how birds keep their legs warm? Waterfowl species circulate blood through a countercurrent heat exchange, isolating the blood that flows in their legs rather than circulating it throughout their entire bodies. This helps to keep their body temperatures higher. Birds also have specialized scales on their feet and legs that help minimize heat loss. Many ducks, geese, pelicans, gulls and swans further conserve body heat by standing on one leg or even sitting down. Birds also tuck their bills under their back feathers, keeping their bills warm while also increasing breathing efficiency by utilizing warmer air. 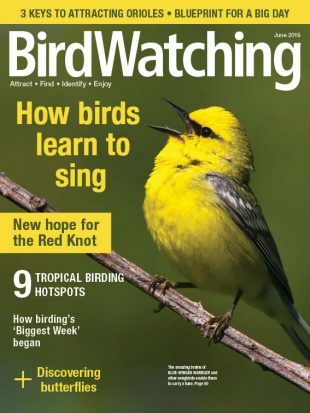 Want to help birds make it through the winter? Consider providing high energy foods like suet, peanuts and black oil sunflower seeds. Water is essential year-round, so adding a heated bird bath can help keep birds hydrated — just remember to keep the water clean! 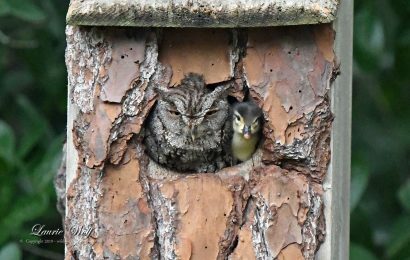 You can provide shelter for many species by installing roosting boxes or leaving dead trees that may be suitable for birds that depend on tree cavities. Planting fruit-bearing trees and shrubs can help attract species like Cedar Waxwings — just remember to make sure you’re planting native species. If fruit-bearing trees aren’t for you, consider planting an evergreen.